The world is changing, and so is the unquestioning belief that development policies are always right. Instead of focusing on the rather limited notion of poverty, this book aims to deepen our understanding of the broad issue of development. What are the drivers of development? What new issues have arisen due to globalization? And what kind of policies contribute to development in a world that is changing rapidly? The articles in this book provide insight into the muddled trajectories of development on various continents and rethink the notion of development in a globalizing, interdependent world. Taken together, the still fuzzy contours of a paradigm shift emerge from the 'Washington Confusion'. Development can no longer be the ambitious, moral project based on a standard model of economic European or American modernization. 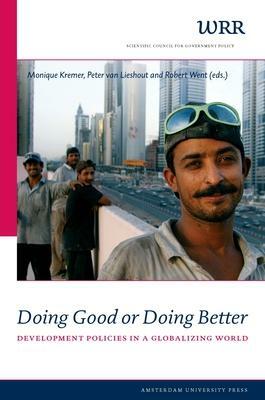 'Doing better' means being less moralistic, more modest and pragmatic, and taking seriously the path dependencies and social realities that exist in each country. |Monique Kremer is researcher affiliated to the Netherlands Scientific Council for Government Policy (WRR).|Please switch to the Dutch version of our website for the full Dutch description.